The Silver Star Certificate was first approved in 1918 by Congress. Awarded for gallantry while in action against an enemy. It was first a certificate plus a 3/16” silver star, “Citation Star”, pinned to the campaign medal. It was not presented in a ceremony, the soldier/sailor had to verify legibility. 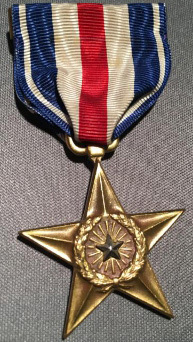 The Silver Star Medal was approved in 1932 and awarded retroactively. 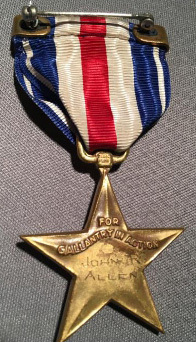 Awarded to “John R. Allen” in WWI, 33rd Div.